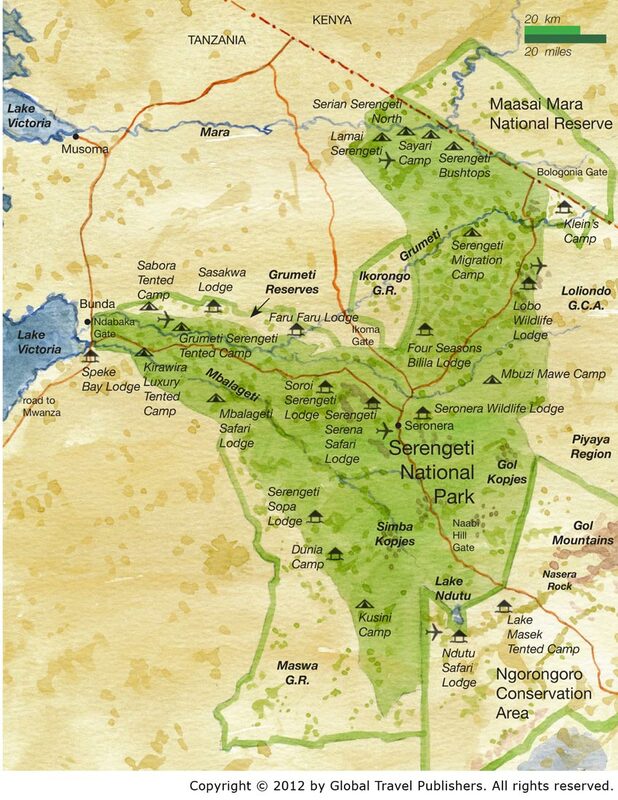 &Beyond Grumeti Serengeti Tented Camp has been the most hospitable safari camp I have ever been to. 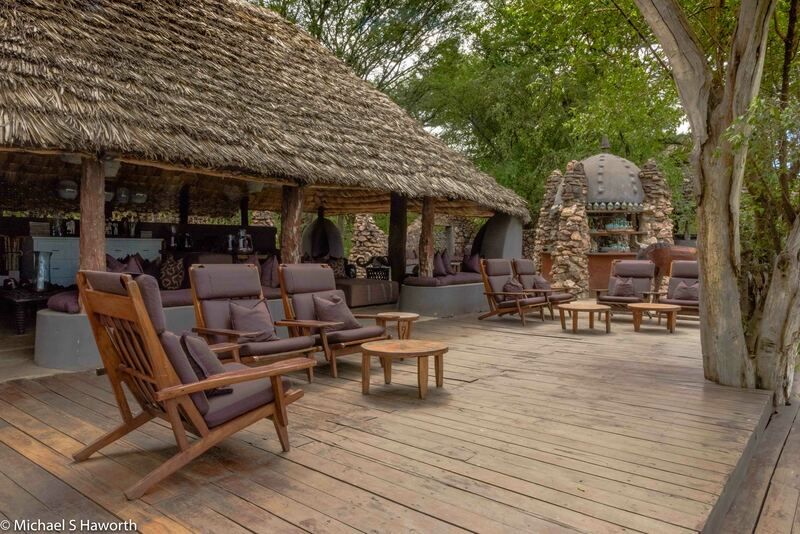 The camp is sited on the banks of the Grumeti river in the western corridor of the Serengeti. It is about 30 kilometres from Lake Victoria. The quickest way to get there is to take a charter flight from Mount Kilimanjaro airport. The flight takes about two hours depending on the number of stops the pilot makes to drop off and pick up new passengers. Flying over the Serengeti give you a wonderful perspective of the terrain and vastness of the area. The migration comes up from the south around May and June but the exact timing depends on the rains. We were there in early March and there is plenty of game to see at that time. The camp is closed in April because of the heavy rains. The black cotton clay around the camp dictates that you will be going nowhere when it is wet, so the camp is usually closed in April. The Grumeti river is naturally dammed at certain points. 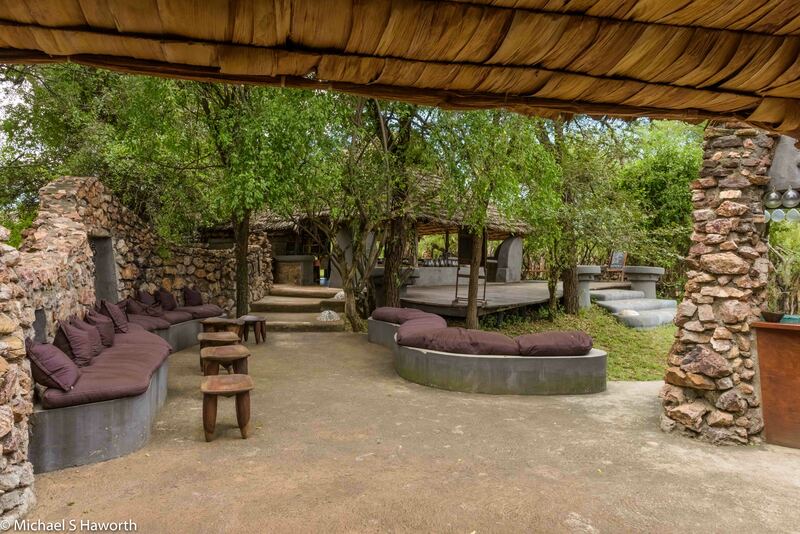 The tented camp is located on one such point. 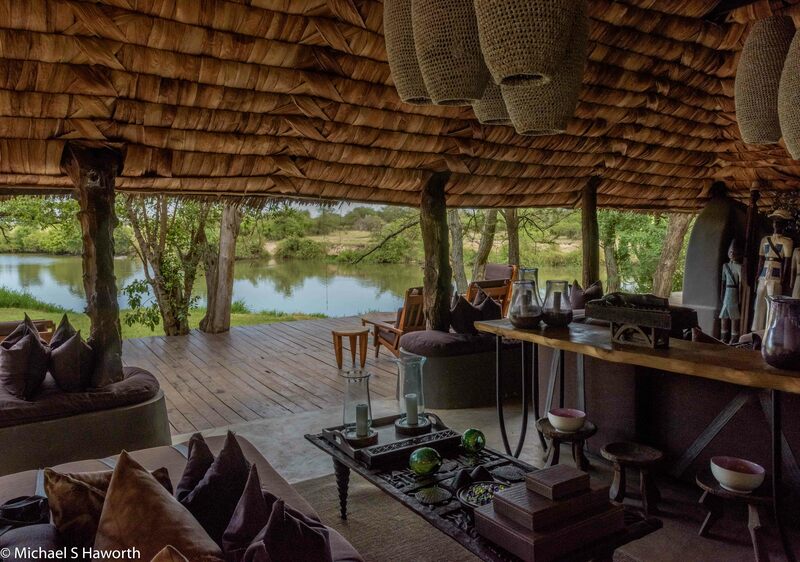 This means that there is always hippo activity right in front of the camp and you will hear the hippos all night. 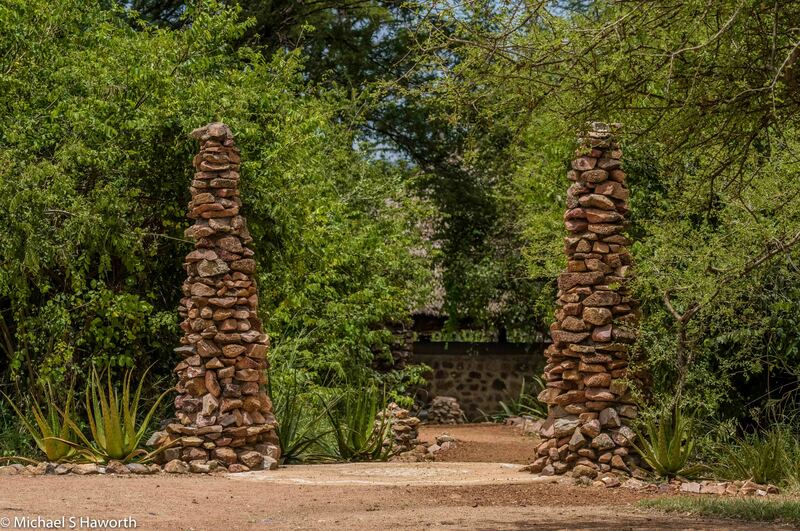 The entrance to the camp is simple and unassuming. 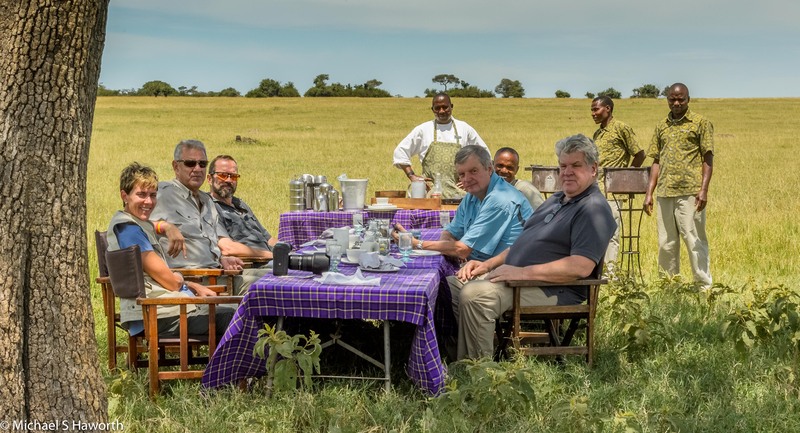 We were surprised one morning when the camp staff had set up a breakfast table under a tree out on one of the open plains east of the camp. Now that is my kind of breakfast setting!! The camp’s permanent swimming pool is elevated above the river. The view from the pool is incredible and the area has a very natural wild feel about it. With all the trees and bushes around the pool there is plenty of birdlife all around the camp. The hippos stay in the river during the day and only come out to graze in the evening. The main lounge and entertaining area looks out over the river which is about 20 metres away. The lounge is not fully walled because it is warm and any passing breeze is needed. The lounge is very comfortable and there is a small bar on the right hand side under the copper dome. The lounge is used mainly during the day and early evening. After a full day out in the park with all the fresh air, you are normally very sleepy after dinner so a short night-cap and then sweet dreams punctuated by hippo snorts. This is where we usually gathered for afternoon tea before going out exploring on our afternoon drive. 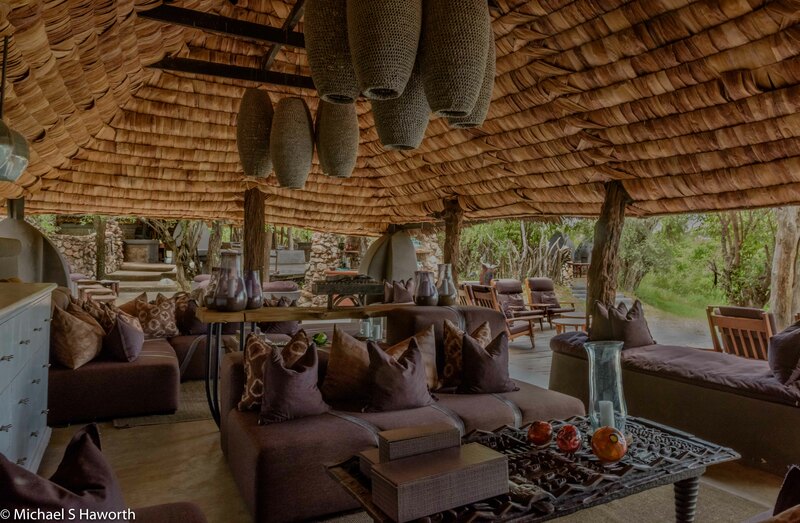 The tent is sheltered from the midday sun by a thick covering of palm fronds which forms a degree of insulation. 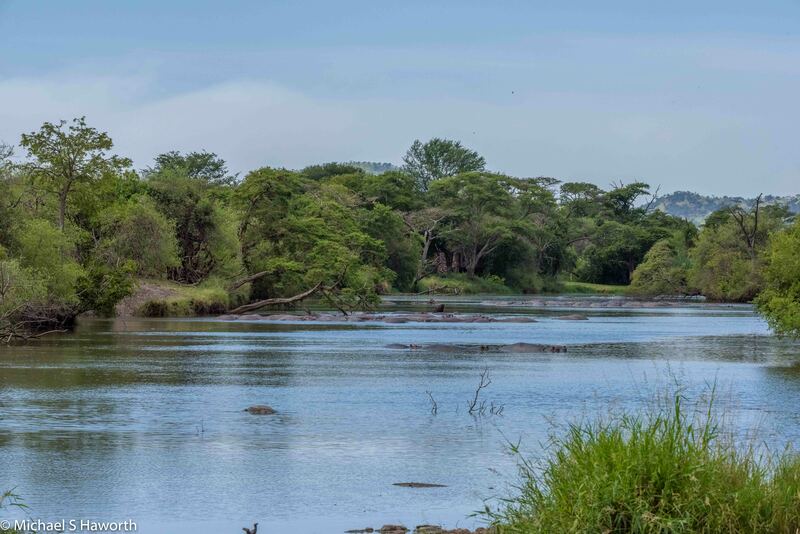 A view from down river looking up to the Grumeti tented camp. We did not often get back early enough to see the sunset from the camp but this was the view looking out from my tent onto the Grummet river at around 19h00. The staff at this camp were exceptional. Friendly, hospitable and provided excellent service. 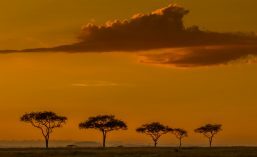 I absolutely loved the ten days we spent at Grummet Serengeti Tented Camp.